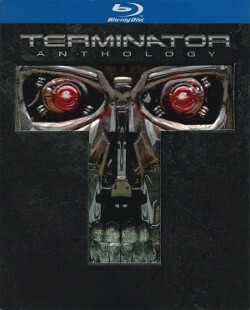 Terminator Anthology Blu-Ray Review - Are You Screening? There aren’t many films, or franchises, that moved into the realm of cultural icons as quickly as The Terminator. Catapulting James Cameron to stardom, the first film took over the film world as an instant classic, and the franchise itself became something of an inspiration with the release of the sequel (seven years later) that was actually superior to the original film. Now with a fifth movie in the works, it’s a franchise that will span three decades, and despite the fact that reviews of the third and fourth films were mixed, it’s a rare entity that can hold its head up pretty high after so many years. The Best Buy exclusive anthology includes all four films, and even for those with only a modest appreciation of the titles, this is a solid package. Unless you already own all four movies, this is one you definitely want to check out. On the other hand, it is a nice collection, and if you’re going to be them all for more or less the same price, it’s nice to have the collection. It’s a set that’s loaded with special features, but as I mentioned, it’s a bit of drawback that for such a release we don’t have a few more extras with the original film. That one is a little sparse actually, and doesn’t look that great by Blu-Ray standards. In an odd way it’s a fun set to go through, because when people think Blu-Ray, they are usually drawn to the panoramic vistas and colors, but it’s the darks and shadows where Blu-Ray often shines best. Comparing the first film to the last in this regard will give you a real idea of how to show off the Blu-Rays that are really impressive. All that said, Terminator 2: Judgment Day is almost worth the set on its own. It’s a loaded Blu-Ray, and in the best possible way. It doesn’t have a lot of filler features that we’ve grown accustomed to, and the Storyboard-Script Mode is really fun for fans. It has over eight hours of total bonuses, including two commentary tracks, both of which are a lot of fun. The Cameron heavy one will go over well, though he at times betrays the fact that he’s a little too taken with himself, and the cast commentary (with 26 people on it) is worth catching repeatedly. The third movie, which is only pretty decent, especially when held up to the second, also has a fair number of bonuses help make it worthwhile, but they are the more “standard” hit or miss. The featurettes are well put together, if not quite as interesting, and the commentaries are almost better than the film itself when you put them together, but some of the other bonuses don’t amount to much. 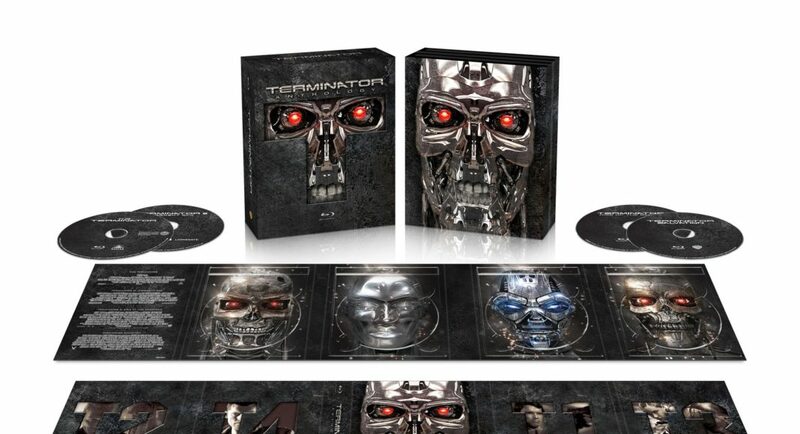 The final movie obviously throws you a lot of special features, being the most recent, but despite the two-disc set for this one, the bonuses aren’t quite what they’re cracked up to be, and aren’t nearly as cool as the T2 offerings. On the other hand, a lot of people get a lot more out of the Maximum Movie Mode than I do. This one isn’t too bad actually, especially considering some of the weaker attempts at this feature, but it isn’t exactly a sell in itself, and it’s working with a somewhat weak film. Overall, this is a great package, but it’s bound to come over as a bit disappointing to many, especially the most serious fans, who already own the pieces. It’s hard to give a bundle a really high grade, but if you don’t own the films on Blu-Ray already, this is worth the money. That’s especially true because getting everything at once lets you in on some of the quirkier bonuses, like Terminator Salvation‘s Mythology Timeline and featurette going over the challenge of trying to resurface something that’s fallen by the wayside.